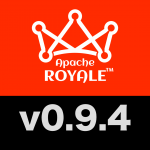 This example shows you how to use the powerful Royale API to get access to the internal workings of components and customize them to suit your needs. 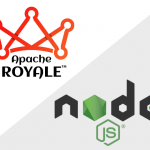 As you can see, although Royale does a lot for you to simplify development, you always have full control of your code. // Event handler function for displaying the selected Alert button. <j:Label text="This is a complex example that adds and retrieves beads at runtime. Click the button below to display an Alert window that adds content and makes changes in some parts of the default layout." This example takes the Using the Jewel Alert Control example and uses the Royale API to add content and customize some parts of the Alert. In the clickHandler method, we create an Alert control and create a CheckBox to add to the Alert’s content zone. Then we call the expandButtons method to end initial customization. Since all components in Royale are “composed” through the Strand/Bead API, we want to access the view part of the Alert; in this case we’re talking about AlertView. We can access AlertView with getBeadByType that retrieves a bead by its type. Then, for learning purposes, we create a VerticalLayout bead and add it to the Alert’s content using the addBead method (you can investigate other methods in the api like removeBead as well). We add the CheckBox created in the previous method to the Alert’s content. Since this involves a call-back method and an initialization method, we only want to add the checkbox at initialization time and not each time the user clicks the CheckBox. Finally, we retrieve the ControlBar’s default HorizontalLayout and customize it to expand its items (the buttons) to fill all the available space in the control bar. We use getBeadByType again to reference the layout, and then use a method available in most Jewel Layouts called itemsExpand that expect a Boolean. When this method is set to “true” all items in the layout expand to use all available space.